Events are open to all members and the general public. Sign up for email event updates by registering with Night Sky Network. Most of our events happen at the Chabot Space and Science Center. Get directions here. In 2006, NASA dispatched an ambassador to the planetary frontier, The New Horizons spacecraft. After 10 years and more than 3 billion miles, on a historic voyage that has already taken it over the storms and around the moons of Jupiter, New Horizons has shed light on new kinds of worlds on the outskirts of the solar system. On July 14, 2015, New Horizons flew 12,500 km (7,800 mi) above the surface of Pluto and continued into rare territory, encountering the cold classical Kuiper Belt object (KBO) 2014 MU69 (informally named “Ultima Thule”) on 1 January 2019. Barcroft High Altitude Observing (EAS and TVS members only): Monday July 29th – Saturday August 3rd. Each year, EAS runs an excursion to the University of California’s Barcroft High Altitude Research Station in the White Mountains above Bishop, CA. At more than 12,000 feet, with often bitterly cold temperatures and miles of gravel and shale roads to traverse, this excursion is not for the faint of heart. The facilities, however, are exceptional. All meals, snacks and lodging is included. Oxygen is not! To reserve your spot, you must be a member of either the Eastbay Astronomical Society or the Tri-Valley Stargazers. Before using the PayPal button (below) to secure your reservation, please contact donsaito@yahoo.com to discuss which days are still available. In order to attend, please download and read the mandatory write-up of the Barcroft event by clicking here. It contains everything you’ll need to know to have a safe and comfortable stay. The Telescope Maker’s Workshop is one of few regularly scheduled such workshops in the world! Every Friday from 7 to 10 PM, amateur telescope makers from the bay area meet at the Chabot Space & Science Center and learn how to grind, shape, polish, and figure mirrors for reflecting telescopes, under the guidance of EAS volunteers. The workshop is free; participants pay only for the mirror blanks and grinding tools, which generally cost between $100-$300, depending on the size of the mirror. All the instruction, grinding grit, testing equipment, and camaraderie is free of charge! For more information, email Richard Ozer at pres@eastbayastro.org, or come by the workshop any Friday to see what it’s all about. EAS sends volunteers to schools, libraries, and anywhere curious aspiring astronomers gather. EAS volunteers bring their own equipment or borrow telescopes. Students, parents, and teachers are always thrilled to look through the telescopes and ask questions. You’ll meet all sorts of interesting people and provide a unique and inspiring experience to kids and parents who may have never looked through a telescope before. Find our next event on the calendar above. 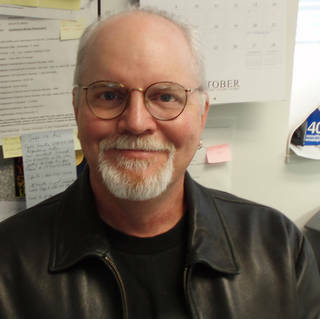 Inquire about and request visits by e-mailing EAS Outreach Coordinator Raymond Howard at outreach@eastbayastro.org. Visit our outreach page to find out about upcoming events. Once a month, we schedule a Members Only Viewing Night at the Chabot Telescope Deck for both EAS and Chabot members. This is our opportunity to look through Chabot’s historic instruments and research telescope, as well as bring our own equipment to share in a more quiet venue. The schedule for MOVN appears in the event calendar below. Header photo by EAS member Alan Roche.